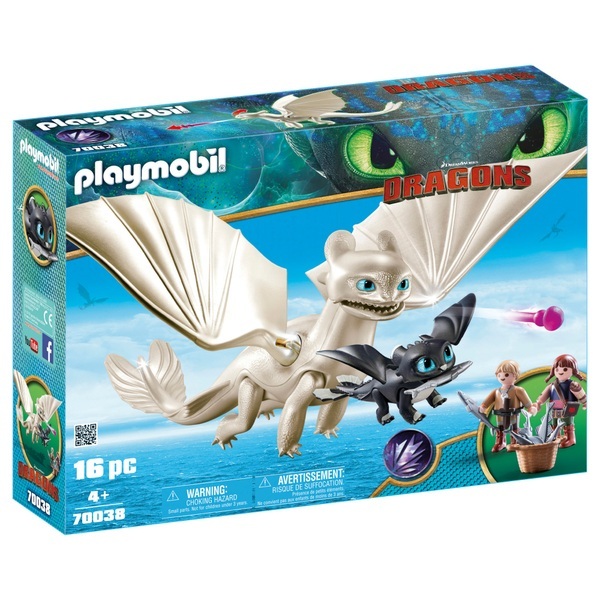 Light Fury shows off her skills and beauty in the new DreamWorks Dragons Light Fury with Baby Dragon and Children by PLAYMOBIL playset. Both dragons feature movable wings for realistic play, and Light Fury can shoot projectiles from her mouth. The fun-packed set also includes 2 children with lots of fish to feed to the dragons after a hard day's training.